Making the decision to work for yourself is never easy. Leaving secure and stable employment comes with high risk, but it’s also hard to ignore entrepreneurial opportunity. The Ithala Development Finance Corporation’s Business Achievers Awards, which recognises business achievements and excellence, celebrates South Africans who have achieved high business honours. Mhlonipheni Joseph Zulu is one of those achievers and has been surfing the wave of success ever since. His journey was filled with hard work and determination. This is his story. “I was born in eNtabakhulu in the Vryheid area. I grew up on a farm with my siblings and only started school at 11-years-old, as we all took turns to go to school. My father had land with lots of cows and my mother was a dressmaker. We would wake up at 3am to start with the household and farm chores, as well as attend to the cattle. We would only go to school for two or three days a week as the rest of the week was dedicated to working at home. “I left school in Grade 9 and got my driver’s licence. I started working as a clerk but did not enjoy the Durban environment or my job. I left and joined STA as a supervisor for three years, then did a stint for government in Dukuduku and then back to Melmoth. I joined Ntonjaneni Timber Harvesters as a harvesting and short-haul supervisor for seven years, followed by an eight-year stint with Fell and Haul CC as a foreman in the timber harvesting operation. “I was inspired by the BEE opportunities that arose in this sector during 1999 and started Siyawisa Hlathi CC, subcontracting to my previous employer to do timber harvesting. I started with some capital funding, R3,000 in cash, two cars plus extra proceeds earned from the sale of some of my cows, which I sold cheaply because I was desperate to get started! 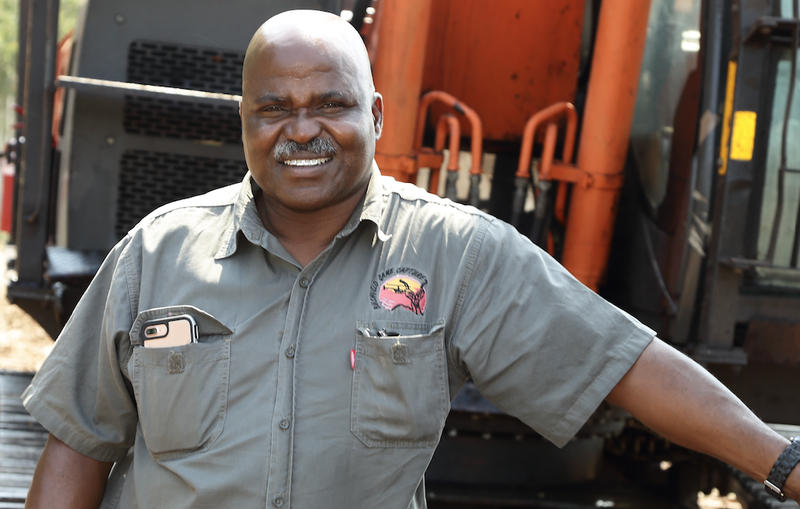 “A real opportunity arose for me in 2005 when Siyawisa was awarded a three-year timber harvesting contract by SiyaQubheka Forestry, a BEE company with Mondi shareholding, which operates 25,000 hectares of prime commercial forestry land in the Zululand area. “A second contract followed in 2008 for the harvesting and short haul of 60,000 tons per annum, and in 2011 another contract was awarded to us to harvest and haul timber at the SiyaQhubeka plantations in the Dukuduku and Nyalazi areas of Mtubatuba. “Mondi and SiyaQhubeka have taken a decision to introduce 100% mechanised timber harvesting systems in their plantations, to improve safety in the timber industry, increase productivity and to enhance opportunities for workers to become skilled operators. “Today, my business is fully mechanised. We currently operate 24 hours a day in a section of Dukuduku and work beside and are mindful of the local wildlife who share our space in this area as it falls within the St Lucia Wetlands Heritage Park. “My wife is also my business partner. I believe strongly in owner management; we know this area very well and have a hands-on approach to management and planning. We have seven children, one of whom has started training to join the business and one who has his own farm in Babanango. “We are very involved in our local community and 10% of what we make goes to community projects. We assisted in rebuilding some of the houses following the 2005 Dukuduku fire, we have refurbished a local creche and donated water tanks to local people during the drought. Mhlonipheni’s story shows that sheer determination and drive to follow your entrepreneurial dream is half of the battle. Seizing opportunities and working hard can make your small business dreams come true. For more inspirational stories, visit Ithala at www.myithalastory.com.